TIMBERLAND PRO. 1053A. AG BOSS ALLOY TOE PULL-ON. 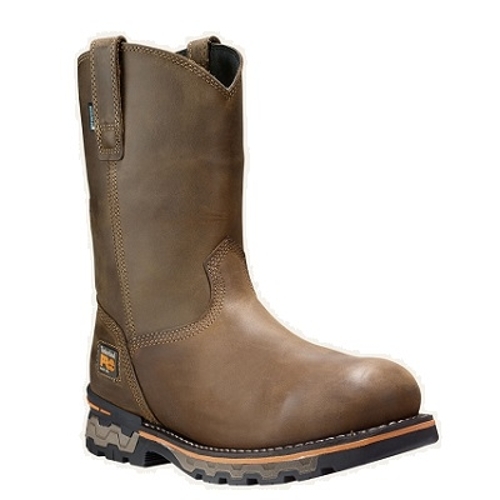 LIGHT BROWN.Our AG Boss work boots feature ultimate comfort waterproof job site protection and Western-inspired styling. The slip-resistant lug outsoles keep you grounded and we ve added anti-fatigue technology antimicrobial mesh linings and easy pull-on tabs.